← Peru and our excuse for not blogging! Bum lambs and puppies–still buddies! 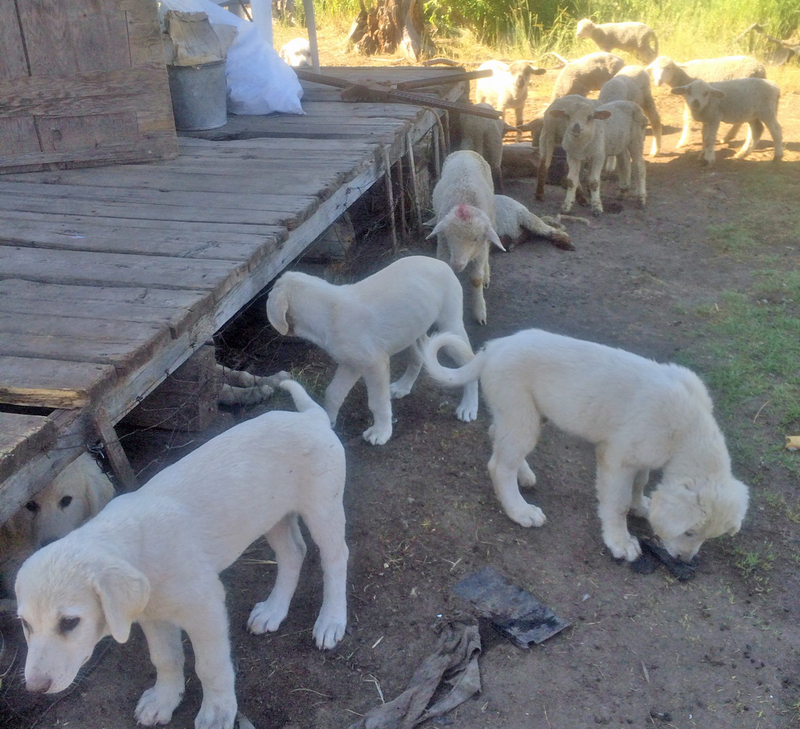 Our LGD’s are mostly Akbash-Great Pyrenees with some Maremma and Ovshaka breeding. Pure guard dog but not one breed. We keep selecting for the best working dogs. The Border collies are all BC!